Welcome to our Fertility Herbs A-Z quick guide! 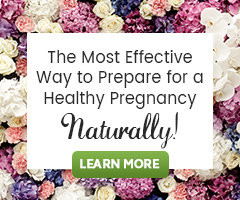 This list is a sister guide to our main Fertility Herbs Guide. This list is not as extensive as the other guide, but this one makes it quick and easy to find information about herbs that have been found supportive for reproductive health issues. Each herb has a brief description of its actions in relation to reproductive health specifically. All herbs are listed in alphabetical order by their common name. Herbs are not meant to be a substitute for dietary and lifestyle changes! Herbs are more effective when healthy diet and exercise are in place. Fertility Herbs are a great way to bring about healthy healing and change in the body. Alfalfa aerial parts (Medicago sativa): Very nutritious, high in vitamins and minerals. Contains some phytoestrogens. Aids in protection against xenohormones. Aids in vaginal atrophy and dryness. Ashwagandha root (Withania somnifera): Supports overall endocrine system function. Supports proper immune response, aids in possible autoimmune fertility issues. Aids in supporting the body with proper stress response. Blue Cohosh rhizome and root (Caulophyllum thalictroides): Both an ovarian and uterine tonic. Aids in regulation of the entire menstrual cycle. Wonderful for uterine weakness, where the uterus has lost strength and tone. Blue Vervain aerial parts (Verbena hastata): Antispasmodic, supports proper function of the uterus. Borage seed oil (Borago officinalis): High in omega-6 essential fatty acids. It works to increase cervical mucus and balance hormones. Mildly stimulating to the uterine muscles through its high omega 6 essential fatty acid content. Shown to contract and relax smooth muscle tissue of the uterus. Burdock root (Arctium lappa): Nourishing and cleansing for the liver, aiding in hormonal balance. Supports overall liver function for improved hormonal balance. Cleansing for the entire body, especially where congested tissues and organs are present. Helps to remove excess estrogen from the liver for proper estrogen balance in the body. Chamomile flowers (Matricaria recutita): Anti-inflammatory and antispasmodic. It is also helpful for women with digestive constipation contributing to pain. Because this herb is also a nervine and mild sedative, it may help to reduce stress, relax the nervous system, and induce a restful state in the body. This can be very useful when experiencing menstrual cramping accompanied by anxiety and irritability or for stress management. Cranesbill, dried root (Geranium maculatum): Traditionally used to stop heavy menstrual bleeding or uterine hemorrhage, very astringent. Dandelion leaf and root (Taraxacum officinale): The leaf is very nourishing and is high in vitamins and minerals. The root aids in liver health, stimulating digestion for improved hormonal balance. Echinacea flower, root, seed (Echinacea purpurea, E.angustifolia): One of the most important plants for stimulating the immune system. Best used for acute situations where immune function support is needed immediately. Autoimmune fertility issues may be supported with this herb during acute flareups for supporting proper immune function, or poor health due to stress. Eleuthero root and stem bark (Eleutherococcus senticosus): Adaptogen herb that supports overall endocrine function which supports hormonal balance. Strengthens the immune system. Great for people under severe stress. This herb helps people to feel better, perform better and recover from immune suppression more quickly. Epimedium also known as Horny goat weed or Yin Yang Huo (Epimedium grandiflorum): Aphrodisiac, increases sexual desire and performance. The active ingredient Icariin has been shown to increase nitric oxide, increasing circulation to the extremities. Has been shown useful in aiding sustained erection. Feverfew aerial parts (Tanacetum parthenium): Has been used for hundreds of years for painful menstruation, and migraine headaches associated with the menstrual cycle. Flax seed (Linum usitatissimum): Flax seeds contain lignans, which are the second strongest group of phytoestrogens. Flax is also high in fiber. Studies have shown that the combinations of lignans and fiber in flax help to remove excess estrogen from the body, while also protecting it from xenoestrogens. Ginger root (Zingiber officinale): Anti-inflammatory. Increases circulation, which also helps to reduce inflammation. Supports proper digestion, very important for inflammatory conditions. Reduction in inflammation reduces pain. Ginkgo leaves (Ginkgo biloba): #1 remedy for erectile dysfunction, increases circulation and is high in antioxidants. Goldenseal root (Hydrastis canadensis): Anti-inflammatory. Reduction in inflammation may help to prevent scar tissue and adhesion formation. Reduction in inflammation reduces pain. Hibiscus dried flower petals (Hibiscus sabdariffa): High in vitamin C, which aids iron absorption; best combined with herbs high in iron, like Nettles. Normalizing for blood pressure and proper blood formation. This is essential for a nourishing uterine lining. Horsetail aerial parts (Equisetum arvense): Excellent astringent action for toning, healing of excess foreign tissue growth, and bleeding. Promotes proper tissue growth, and function. Jamaican Dogwood bark (Piscidia erythrina): Extremely antispasmodic and analgesic. It is traditionally used for all neuralgic and muscular cramps and spasm. This is an herb that is often relied on by herbalists for women who have unrelenting pain disturbing daily life activities and debilitating pain. Jamaican Dogwood may be a good option for women who have lost all hope, or where other remedies have failed. Lemon Balm leaf (Melissa officinalis): Excellent nervous system support. Supports healthy stress response, and lessens depression and anxiety. Good emotional health and a healthy stress response are important prior to conception. Not for use for people with hypothyroidism. Liferoot, dried aerial parts (Senecio aureus): Normalizing for the menstrual cycle, astringent. Linden flower and bract (Tilia platyphyllos, T.cordata): Mildly lowers blood pressure, reduction in depression, supports nervous system function. Great for anxiety, depression, and insomnia; it is very gentle and safe. Nettles aerial parts (Urtica dioica): Supports healthy iron levels, which is important for conditions where internal and/or excessive menstrual bleeding is taking place. Both astringent and high in iron and vit. C for proper tissue and blood formation. Supports proper liver function as well hormonal balance. Very nutritious as well, promoting overall health. Oat straw (stems), Milky Oats (tops) exert a stronger effect than oatstraw,(Avena sativa): Nourishing, aids in stress reduction by supporting nervous system. Great support for stress related fertility issues. Parsley tap root, leaves, seeds (Petroselinum crispum): Has been used as an emmenagogue to bring on menstruation. Rich source of vitamin C.
Periwinkle aerial parts (Vinca major): Used traditionally to treat menorrhagia, but also to curb mid-cycle spotting/bleeding known as menorrhagia. Rhodiola root (Rhodiola rosea): is an adaptogen, aiding the body in times of stress and change. Rhodiola is a potent antioxidant, working to protect the body from environmental toxins that may contribute to hormonal imbalance. Works to help prevent depression during hormonal changes. Its balancing effect on the endocrine system support overall hormonal balance, stress and immune support. Helps to balance blood sugar levels. Supports both the male and female reproductive system. Schisandra fruit and seed (Schisandra chinensis): Supportive and protective of liver health. Shown to support immunity, endocrine, and nervous system function. Studies have shown that it may increase the sperm count. Aids stress-related infertility. Sesame seed (Sesamum indicum): Has the highest oil content of any seed, providing a rich source of omega 3 and 6 EFAs (see the benefits for hormonal balance above, under Evening Primrose Oil). Contains lignans which help promote healthy estrogen balance and overall hormonal balance. Shepherd’s purse, aerial parts (Capsella bursa-pastoris): Astringent used to reduce acute heavy menstrual bleeding and postpartum hemorrhage. Yellow Dock root (Rumex crispus): Stimulates bile production for healthy removal of toxins, supportive of liver health and is high in iron, which may help support adequate iron levels, which is essential for proper blood formation. Hi…What herbs would you advise to improve egg quality ? There are dietary and lifestyle ways to naturally support egg health, including fertility superfoods, nutritional supplements and natural therapies. Learn more at How to Increase Your Egg Health in 90 Days. Thank you for your questions! I am not familiar with this blend CST-M, but after some poking around the internet, I found it out it is formulated by herbalist Mildred Jones, for her clients. We work with the herbal blend FibroDefense, which we fine works well with our clients. That is why we don’t sell it. Sanicle is a common name for an herb, but I am not familiar with that common name. Do you have the botanical name for this plant?